A Supportive Housing Leader in Sonoma County Since 1972. Before we were called Community Support Network, we were Karibu House (a Swahili term which means ‘welcome’). Karibu House services and programs were started by several Sonoma State University students who wanted to offer an alternative to inpatient treatment for individuals with severe and persistent mental health challenges. Their vision was to provide a safe place for clients to recover without having to live in an institutional setting. CSN’s model, to house people in small supportive homes, continues to this day, and all our sites are residential homes in neighborhoods throughout the Sonoma County community. CSN’s supportive housing has guided formerly homeless adults and transition age youth (TAY), using proven, evidence-based programs for more than 40 years. We have created successful programs that are thoughtfully designed, cost-effective, and have extraordinary outcomes for more than four decades. Since 1972, the agency has grown, and now operates 9 homes where clients learn independent living and positive coping skills, and we serve nearly 200 residents annually. One of CSN’s strengths is that we empower our residents to recover from combinations of trauma and addiction using evidence-based practices. In contrast to institutional treatment or custodial care, we do not aim to take care of residents. Our goal, in contrast, is to teach them how to take care of themselves through the skills they develop at CSN. Today, several of CSN’s homes have been commended for exceptional outcomes with our clients. 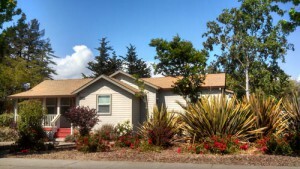 In a report released by the Sonoma County Community Development Commission in April 2016, CSN’s Stony Point Commons permanent supportive housing program was at a virtual tie for first in quality and efficacy for programs in this county funded by the U.S. Department of Housing and Urban Development (HUD). In the same report, released in April 2015, the same property scored highest out of the 18 Sonoma County programs with HUD funding. CSN’s leadership in Sonoma County supportive housing was recently recognized with a grant from the Wine Country Weekend Fund of Community Foundation of Sonoma County. The award will be used to implement a county-wide training for service providers throughout the county, which will benefit several thousand at-risk individuals in the community.